Me too! Unfortunately I couldn’t find out yet where the left pair comes from (absolutely in love with the colour combo). Oh my, your eye on fashion in general is always so „damn“ good! and Miss Menkes has a point. I love both styles! Wishing you a happy week Marzena!! Awww…how nice of you to say that, Audrey! Thank you so much for the kind words. Definitely loving the outfit on the left! 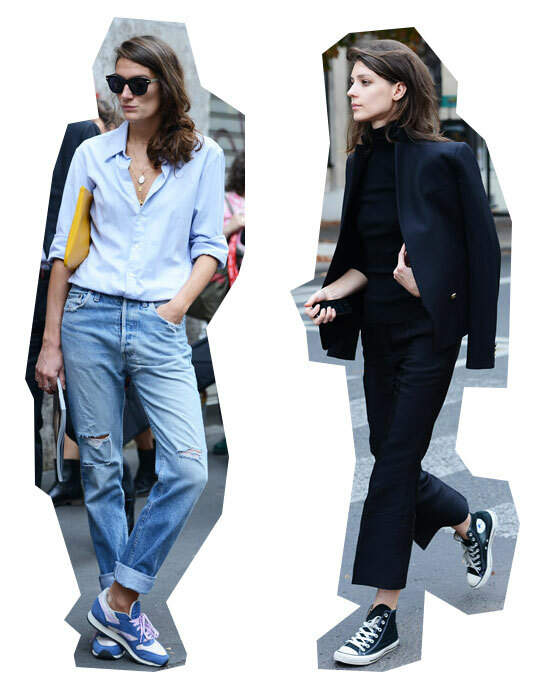 Casual chic at its best.